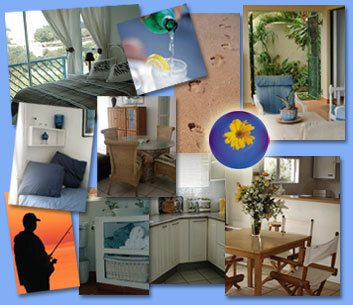 Family Getaways: self-catering accommodation in Ballito, Chaka's Rock & Salt Rock! The Family Getaways site, supporting a portfolio ranging from 2-sleeper holiday apartments to 10 sleeper houses, Dave and Jocelyne Sibbald are on hand to help with your holiday accommodation planning. More than 60 different accommodation options are spread around KwaZulu-Natal's North Coast which includes some of the delightful holiday retreats such as Salt Rock, Ballito, Thompsons Bay, Chakas Rock and Sheffield Beach. It won't be long before you discover why this region is known as The Dolphin Coast or to coin the phrase "The Playground of the Dolphins"
If you get tired of basking in the sun or bobbing in the waves, why not discover some of the other activities on offer such as a visit to a crocodile farm, restaurants and shopping centres or try your hand at fishing, microlighting or golfing. Contact us and we will tailor-make your accommodation requirements. Please be sure to book early for the school holidays. demand for letting in the Dolphin Coast area. in the Ballito, Chaka's Rock, Salt Rock and Sheffield Beach areas.